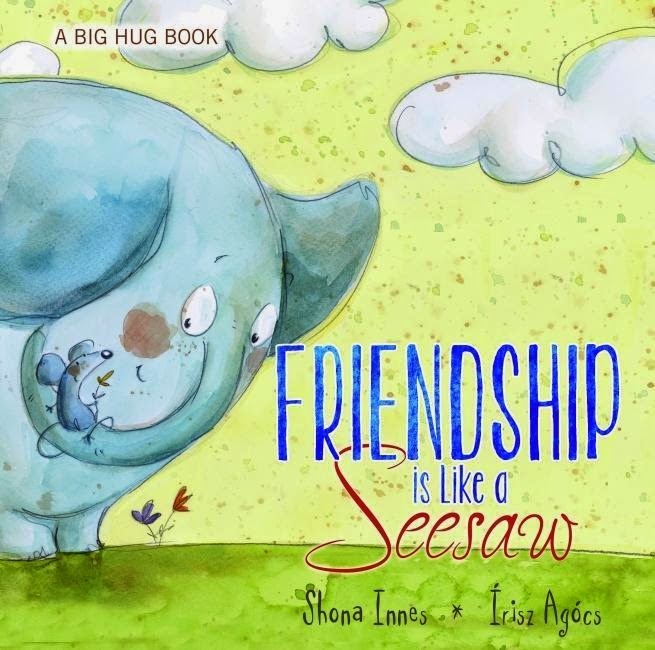 The stunning watercolour paintings by Hungarian illustrator, Irisz Agocs have brought Shona Innes’ exciting series of Big Hug books to life and imbued her words with a subtle, meaningful glow. This first one is released simultaneously with the second, Life is Like the Wind, with two more titles due mid-year. Sensitive and sincere, soothing and gentle, it addresses the theme of friendship and its challenges, changes, and ups and downs. The analogy of friendship being like a seesaw is perfect. It talks about rules in friendship, taking turns and sharing, balancing everything out, and doing nice things for each other. The most impressive thing about this book is that it’s not directly aimed only at children. Adults and older people will also welcome this series of intelligently crafted books which ‘grew out of letters sent to children and their families after their psychology sessions’. Shona Innes is a Clinical and Forensic and Psychologist who has patients of all ages and whose books ‘aim to give children and the people who care for them, a way to talk about problems’. And that sums it all up.